The New York Yankees took on the Toronto Blue Jays this past weekend as they HONORED the 1998, which the BEST team ever. The CURRENT 2018 Yankees BEAT UP on the Blue Jays and now stand THIRTY TWO games OVER .500 but are still NINE games OUT of first place. The Yankees play FLUFF teams for the next TWO weeks, so they can PAD their record going into the LAST month of the Regular Season. Game 1- Lance Lynn had been GREAT as a Yankee, but on Friday he showed why the DEMAND for him during the trade deadline was LOW by giving up FOUR runs in the FIRST inning against the Blue Jays. The offense had been TRASH against the Devil Rays, so the Yankees were on their way to a THREE game LOSING streak, but the offense WOKE UP thanks to Neil Walker. Walker has NOT been great in his time with the Yankees, but he got the BIG hit on Friday night and the Yankees WON the game 7-5 in SEVEN innings after rain STOPPED the game EARLY. Game 2: On Saturday, the Yankees had a PREGAME ceremony to HONOR the 1998 team and they had their ACE Luis Severino on the mound, who has been TRASH since July 1st. Sevy put on a SHOW in front of the SELL OUT crowd and was able to get the WIN as the offense was GREAT once again, this time around Didi Gregorius got the BIG hit EARLY. The Yankee offense put on ELEVEN runs to WIN the game 11-6, to ENSURE a series WIN against the Blue Jays and were going for the SWEEP on Sunday. Game 3: J.A. Happ was TRADED from the Blue Jays to the Yankees and he has been GREAT ever since he arrived in the Bronx. Sunday was the FIRST time that he was taking on the Blue Jays after being TRADED, and he got ANOTHER win as a Yankee. He gave up a run in the FIRST inning, but Greg Bird ROSE from the dead. Bird helped the Yankees WIN the game, 10-2 and SWEPT the Blue Jays and GAINED a game in the AL East after a Boston Red Sox LOSS. This weekend was a BIG positive for the Yankees as they were able to SWEEP a BAD team, something that they have STRUGGLED at this season. The Yankees continue to play BAD teams when they travel to Miami this week, so they should CONTINUE to ROLL. 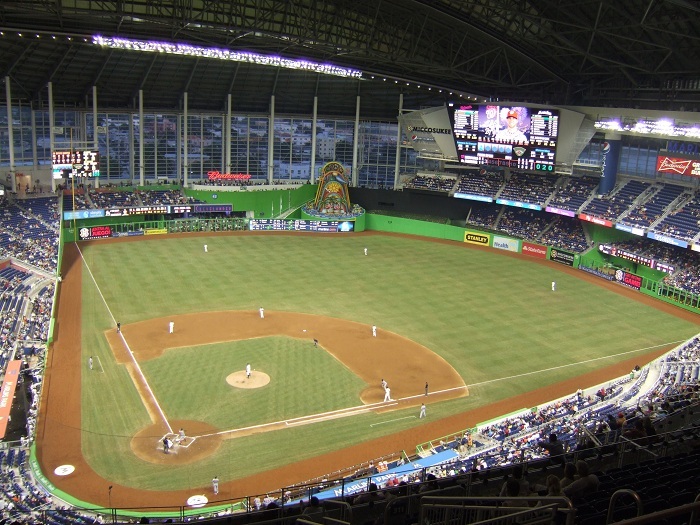 The offense was TERRIBLE against the Devil Rays but they played MUCH better against the Blue Jays and are ROLLING, they go to Miami this week, which is a Home Run FRIENDLY ballpark so expect MORE long balls this week. The offense took ANOTHER big hit on Sunday when Didi Gregorius was PULLED from the game with a LEG injury. All signs are pointing towards him ending up on the DL and joining Aaron Judge and Gary Sanchez. Those THREE were the BEST offensive players for the Yankees last season and they are ALL going to be OUT for the REST of the month, so that is a BIG hit for the Yankees. THANKFULLY for the Yankees, they have an EASY schedule for the REST of the month so they will NOT really be affected by the ABSENCE of Didi, Judge, and Sanchez IF Giancarlo Stanton and Greg Bird continue to MASH the ball like they have been LATELY.